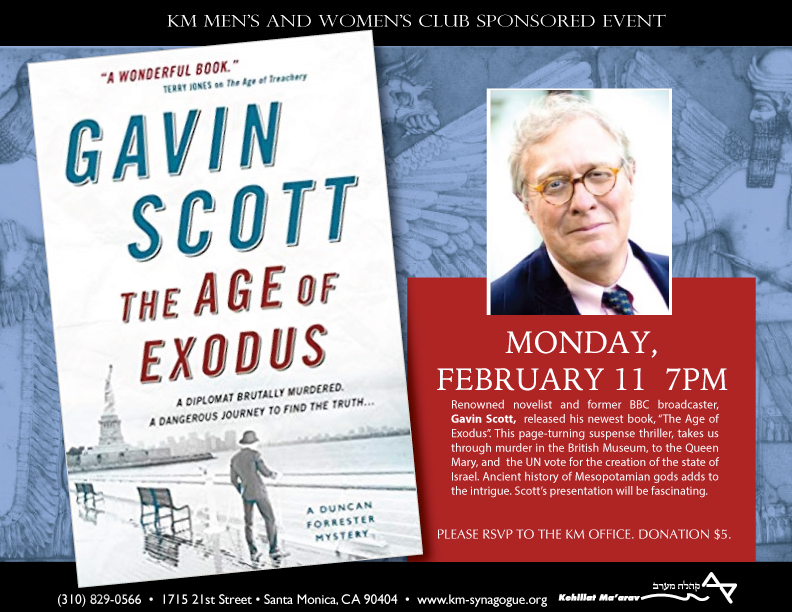 Gavin Scott, novelist, former BBC broadcaster, and writer of mini-series and documentaries presents his newest book, “The Age of Exodus”. This page-turning suspense thriller takes us from murder in the British Museum, to the Queen Mary, and the UN vote for the creation of the state of Israel. Ancient history of Mesopotamian gods adds to the intrigue. 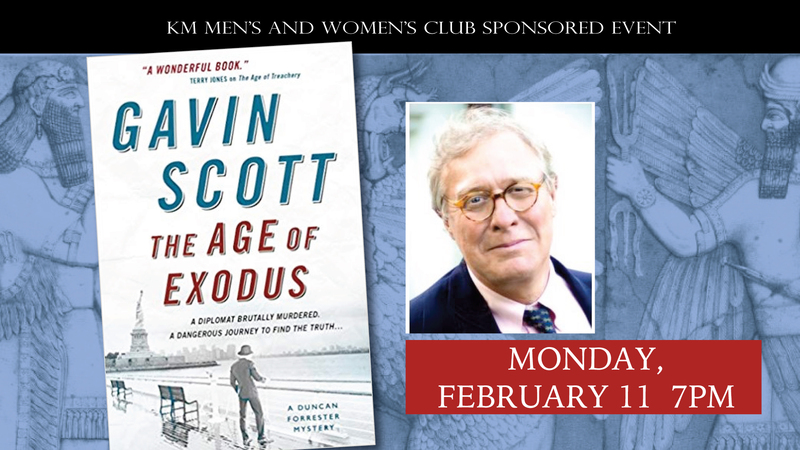 Scott’s experience and knowledge of history will entertain and inform us during his fascinating presentation. Recommended donation: $5 Please RSVP to the KM office.